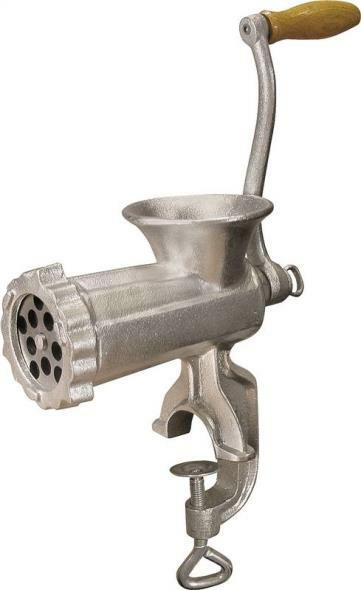 This Meat Grinder can be attached to a motor and pulley to process large quantities of fowl, beef, game or pork quickly and easily. 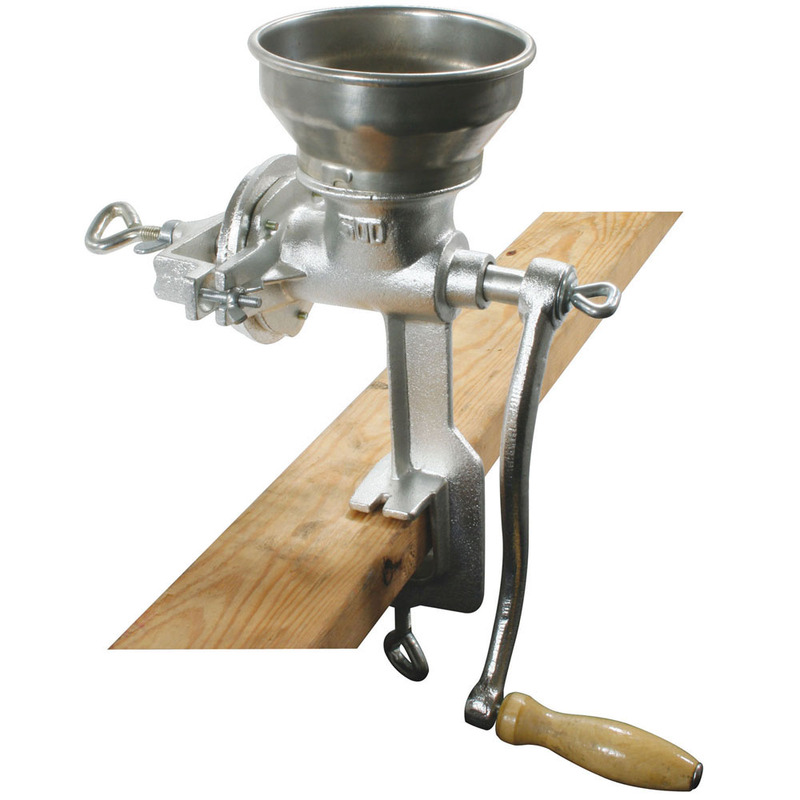 The large wooden handle and pulley wheel will give you lots of leverage if grinding by hand. The cast iron body is durable and easy to clean. 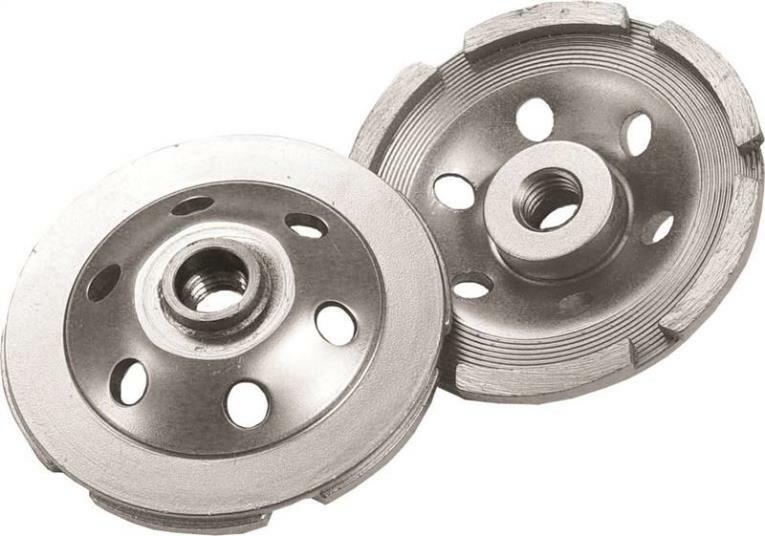 A #32 grinding plate and cutting knife are included with the Grinder body. This Grinder can be bolted to a table or counter top for stability. Process your own sausage, bratwurst and hamburgers with ease using the Sportsman Series Electric Meat Grinder. Blend meat with your favorite seasonings for fresh and healthy homemade meals. Use your own casing for homemade sausage, pepperoni and bratwurst. Add your own spices and seasonings to make each recipe just the way you like it. You can even grind vegetables to prepare great tasting meals. 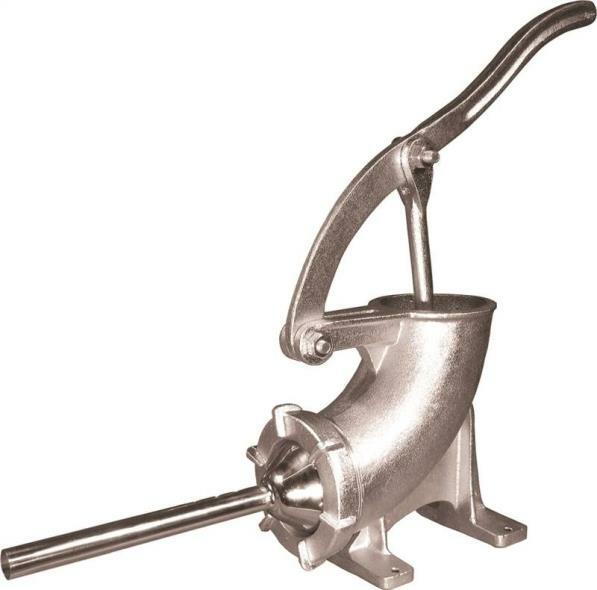 This 350-Watt Meat Grinder can grind up to 100 pounds per hour, and features a forward/reverse button to help prevent jamming. The classic design with silver accents is durable, easy to clean, and has a contemporary look that fits in any kitchen. Cleaning is easy with removable cutting blades and a detachable stainless steel food tray. 30 in. cord, unit size: 13 in. L x 7 in. W x 15 in. H, unit weight: 6 lbs. 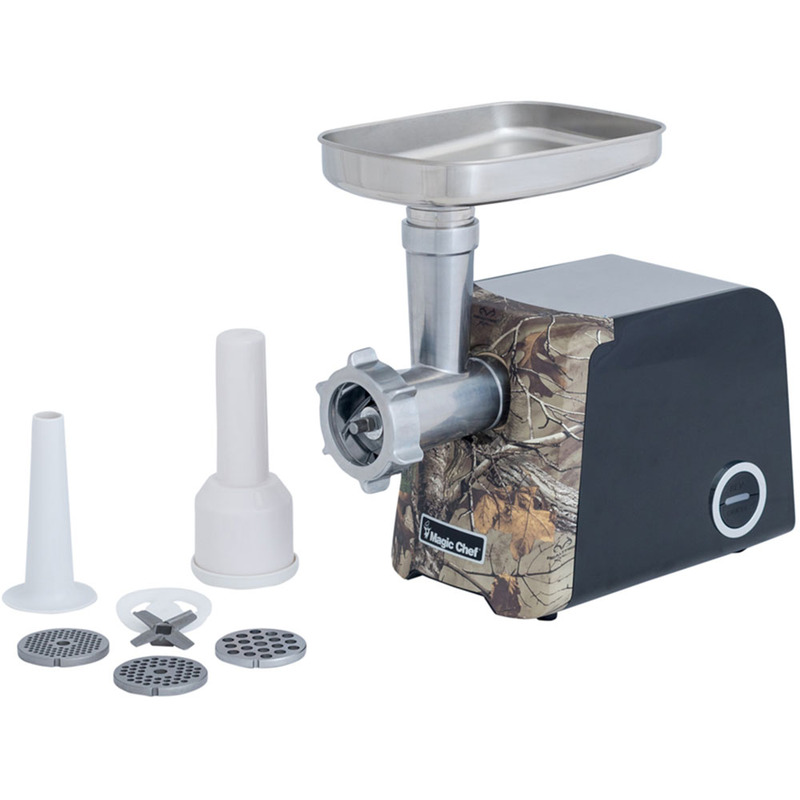 Process your own sausage, bratwurst and hamburgers with ease using the Sportsman Series Commercial Grade Meat Grinder. Blend meat with your favorite seasonings for fresh and healthy homemade meals. Use your own casing for homemade sausage, pepperoni and bratwurst. Add your own spices and seasonings to make each recipe just the way you like it. You can even grind vegetables to prepare great tasting meals. The powerful 650-watt motor is designed to handle big jobs, making this model great for hunters and butchers. 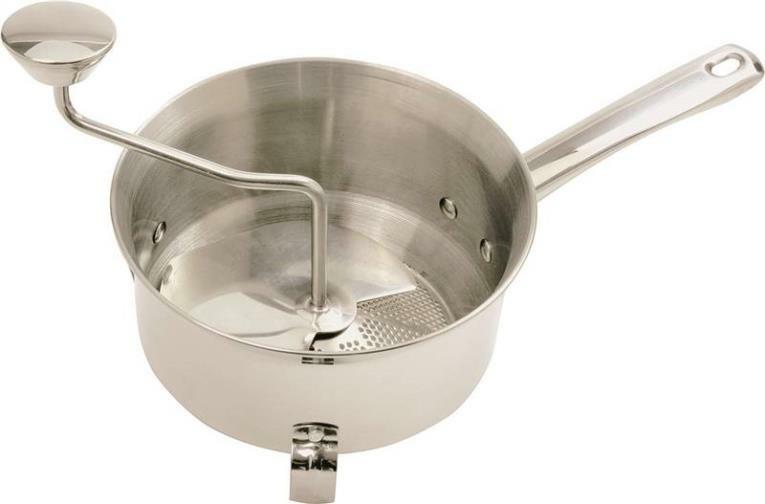 The classic stainless steel design is durable and easy to clean. 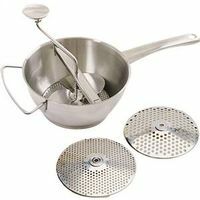 Includes all the attachments and tools you need to begin grinding your own fresh meat, fowl, or wild game: two grinding knives, two grinding plates, 4 piece sausage making attachments, push tube. 62 in. cord, unit size: 18.5 in. L x 12 in. W x 15 in. H, unit weight: 57 lbs. 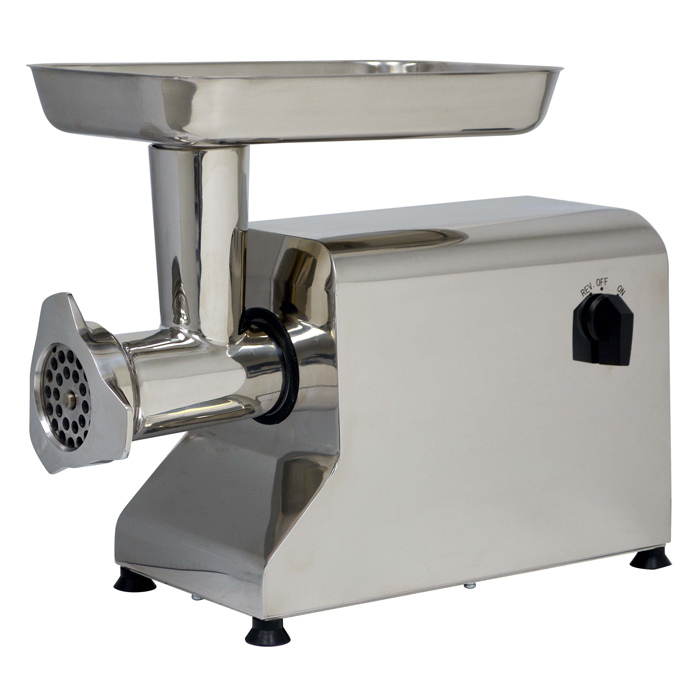 Heavy Duty Meat Grinder with Heavy Duty Design on all metal parts except meat feeder; Circuit Breaker protects the motor when overloaded; Large Metal Hopper; Stainless Steel Cutting Blade; Three Cutting Plates (Fine Medium and Coarse); Sausage Attachment; Recipes Included. This item cannot be shipped to APO/FPO addresses. Please accept our apologies. 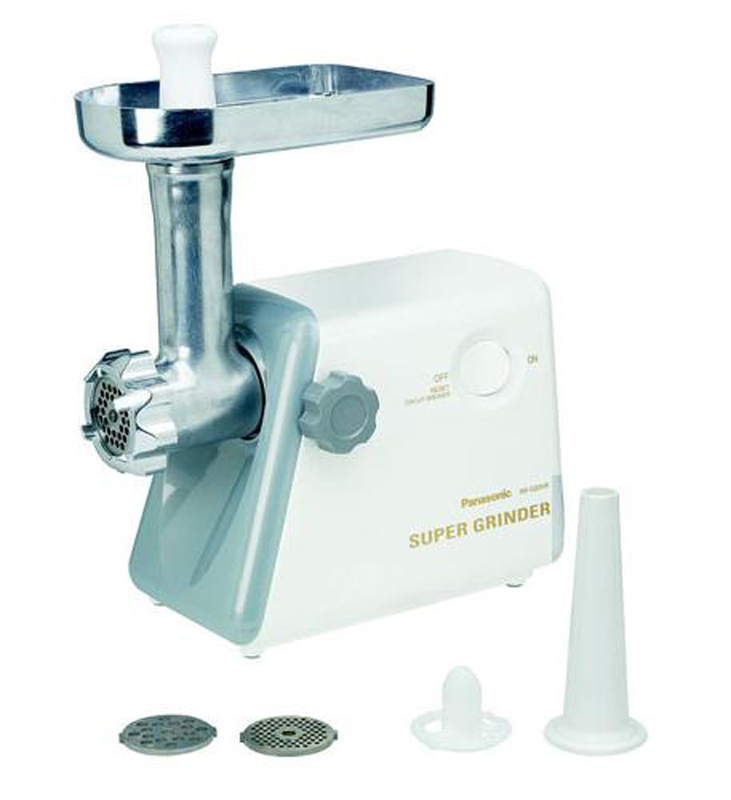 The Chard Grain Mill allows you to grind corn multi-grain soybeans or shelled nuts. A grain mill is perfect for high quality natural baking gourmet cooking and serious home beer brewing. 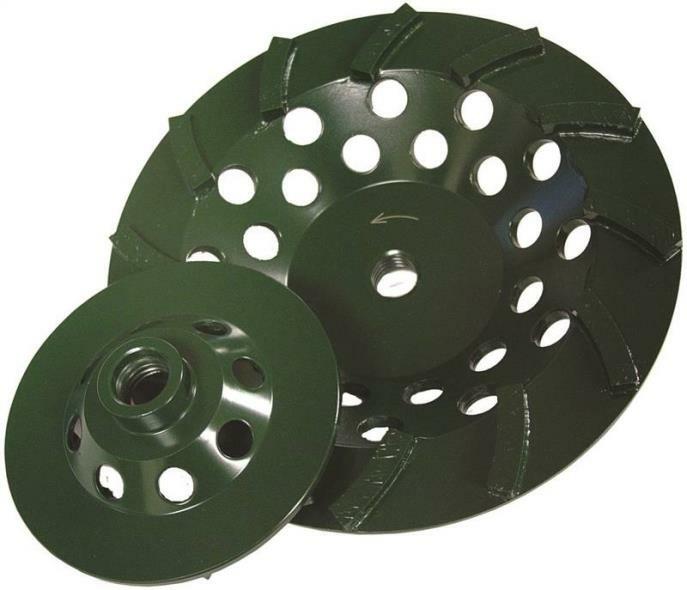 Made of durable tin-coated cast iron for years of dependable service. Features an extra large hopper for extended milling between refills.The clamp-on style easily attaches to any countertop up to 1-1/2" thick. Disassembles for quick and easy clean-up. This item cannot be shipped to APO/FPO addresses. Please accept our apologies. Process your own sausage, bratwurst and hamburgers with ease using the Sportsman Series 550 Watt Stainless Steel Electric Meat Grinder. Blend meat with your favorite seasonings for fresh and healthy homemade meals. Use your own casing for homemade sausage, pepperoni and bratwurst. Add your own spices and seasonings to make each recipe just the way you like it. You can even grind vegetables to prepare great tasting meals. 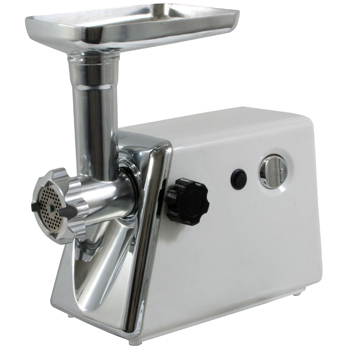 This 550 Watt Meat Grinder can grind up to 165 pounds per hour, and features a forward/reverse button to help prevent jamming. The stainless steel body and removable food tray makes cleaning easy. Includes all the accessories and attachments you need to start processing your own game right out of the box. 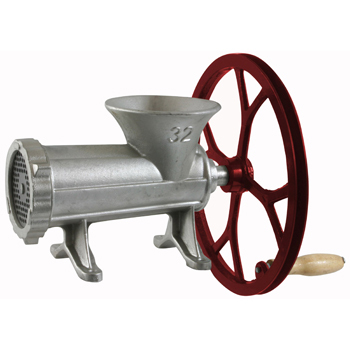 Weston Manual Grain and Corn Mill... Quickly and easily grind corn multi-grains soybeans or shelled nuts for a fresh wholesome additive to your favorite recipes. 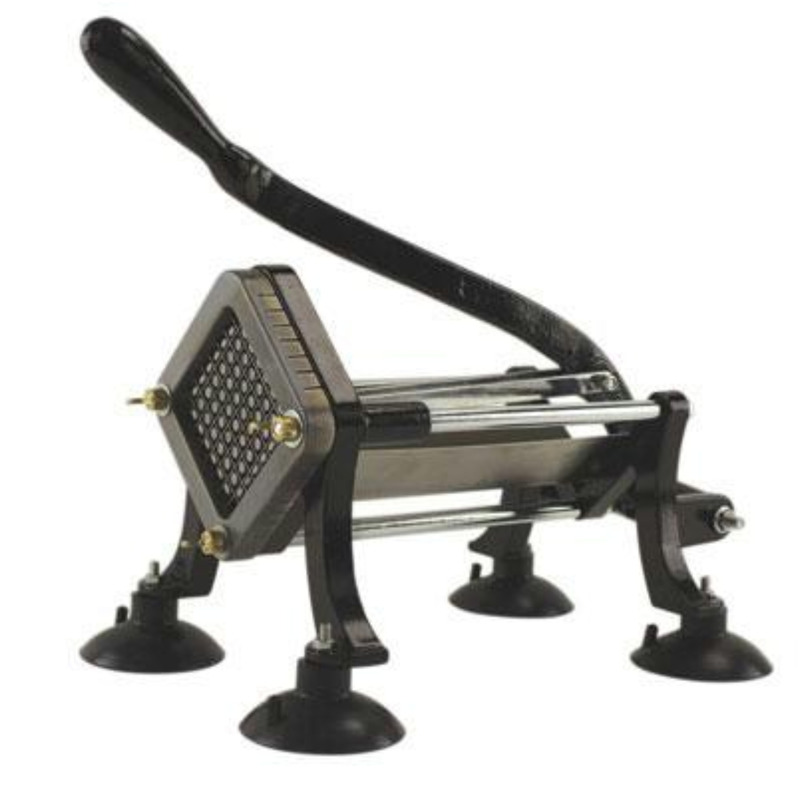 Heavy-duty cast-iron construction for a lifetime of use; Large heavy-duty crank handle turns effortlessly; Extra large 5-1/2" diameter hopper; Clamp on style easily attaches to any countertop (up to 1-1/2"); Rubber base protector keeps mill from scratching the work surface; Adjustable burrs for coarse to fine grind control; Fully disassembles for quick & easy clean-up. This item cannot be shipped to APO/FPO addresses. Please accept our apologies. 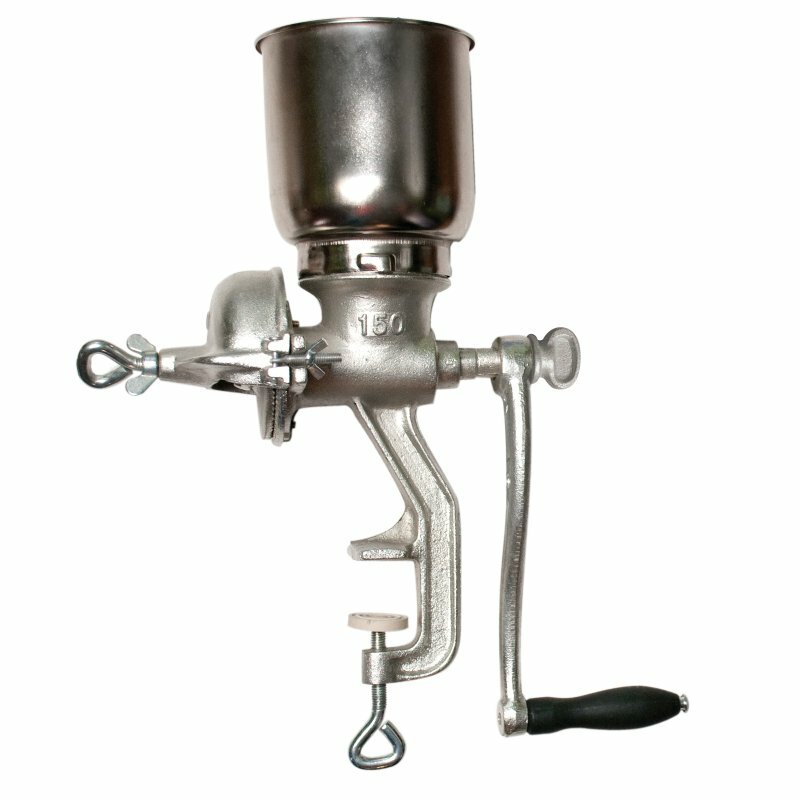 Weston #22 Manual Meat Grinder (Tinned)... Know what is going into your food! Creating your own sausage ground meat ham salad and more is easy with Weston's Tinned Meat Grinders. Food Safe Tin Coating; Durable Cranking Handle; Heavy-duty nylon bearing for long life; Secures to your table or countertop; Easy to clean and assemble. 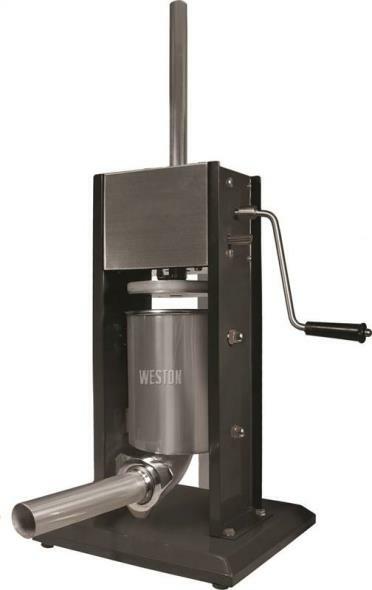 All Weston Tinned Meat Grinders include an 8-Piece Accessory Kit: 4.5mm Grinding Plate for medium grinding 10mm Grinding Plate for coarse grinding Grinding Knife Set of three stuffing funnels: 14 19 24 mm with easy attaching universal flange and stuffing star. This item cannot be shipped to APO/FPO addresses. Please accept our apologies. The Chard professional grade french fry and vegetable cutter is a premium piece of equipment for the serious user. Ergonomically-designed cast handle uses leverage to multiply force allowing the user to quickly cut large russet and even sweet potatoes. Design of unit allows it to be easily mounted vertically on wall or bolted to a bench or table. Unit includes one cutting plate and corresponding pusher. Unit easily disassembles for easy clean-up. This item cannot be shipped to APO/FPO addresses. Please accept our apologies. 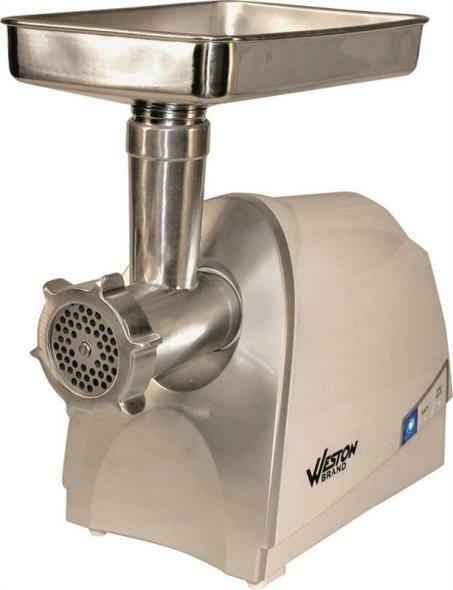 Weston Heavy Duty Meat Grinder #8 (575 Watt)... Versatile grinder with a compact design for easy storage. Powerful 575 Watt motor is ideal for grinding any wild game or domestic meat. 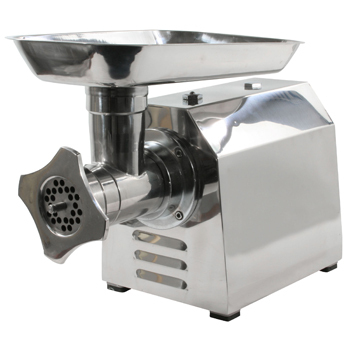 Powerful 575-watt motor; 3 Stainless Steel grinding plates for fine medium and coarse grinds; Sausage stuffing funnel for perfect sausage every time; Forward and reverse operation; Compact design for convenient storage; Attachments store inside stomper; Large grinding tray. This item cannot be shipped to APO/FPO addresses. Please accept our apologies. 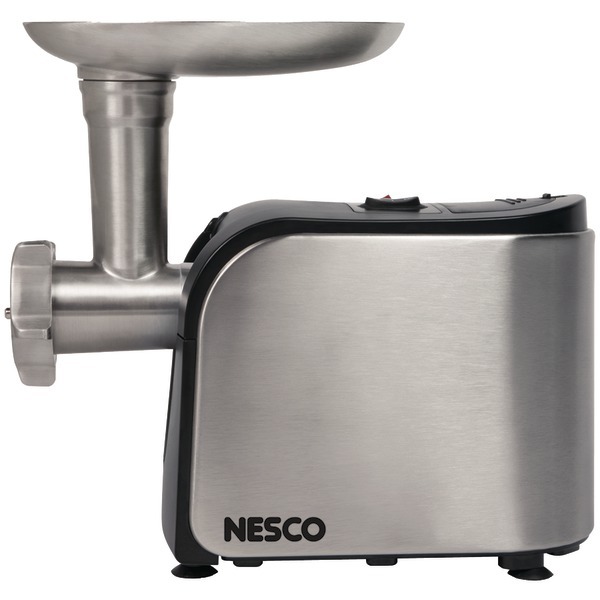 Nesco Food Grinder with 500 watt motor .67HP #5 head die cast auger & feed tube S-blade & body. This item cannot be shipped to APO/FPO addresses. Please accept our apologies. The Chard #10 Hand Grinder is built of heavy duty tin-coated cast iron for years of dependable service. Unit has an oversized thumb screw that easily attaches or removes handle. The poly handle is easier to clean and won't split or splinter. 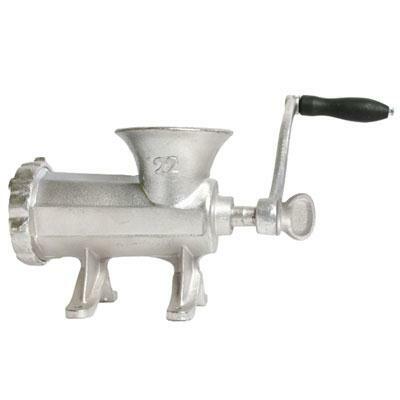 Includes: 3/16" grinding plate adapter 3 nozzles for links sausages and bratwursts. Disassembles for quick and easy clean-up. This item cannot be shipped to APO/FPO addresses. Please accept our apologies. 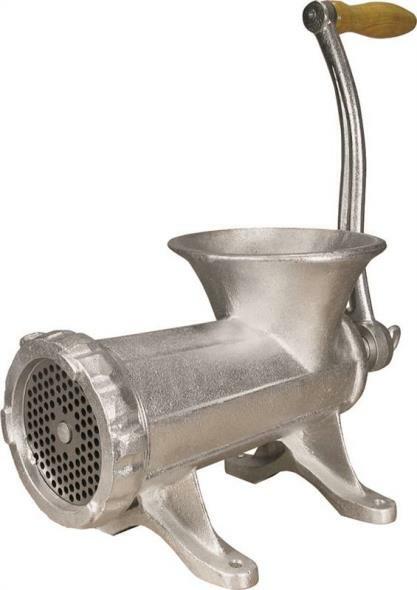 The Chard Heavy Duty Meat Tenderizer uses cast and geared tenderizing teeth to quickly improve any tough piece of meat. Accepts meat up to 1/2 inch thick and 4 inches wide. The removable plastic cover protects user from moving parts. Tenderizing meat reduces cooking time and enhances flavor. Disassembles for easy clean-up. This item cannot be shipped to APO/FPO addresses. Please accept our apologies. The Chard #22 hand grinder is built of heavy-duty tin-coated cast iron for years of dependable service. 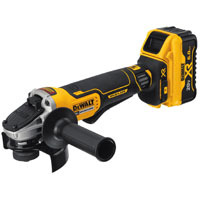 Unit has an oversized thumb screw that easily attaches or removes handle. The poly handle is easier to clean and won't split or split or splinter. 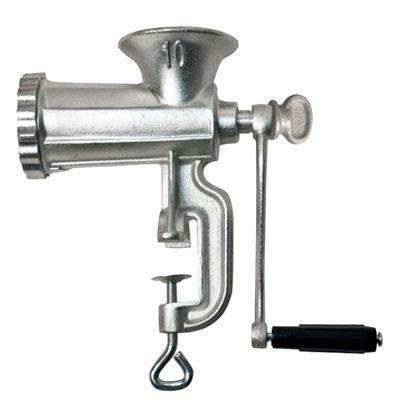 Includes 3/16" grinding plate adapter 3 nozzles for links sausages and bratwursts. Disassembles for quick and easy clean-up. This item cannot be shipped to APO/FPO addresses. Please accept our apologies. 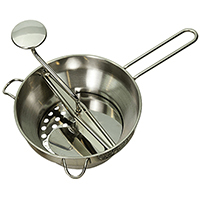 7-pound Vertical Sausage Stuffer with heavy duty steel gears stainless steel canister and housing; rubber feet for added stability; pressure release valve; disassembles for easy cleaning; canister tilts outward for easy loading; includes 13mm 20 mm 30 mm and 40mm funnels. This item cannot be shipped to APO/FPO addresses. Please accept our apologies. The Chard #12 Grinder has a 500 watt heavy-duty motor and grinds up to 6 pounds per minute. Made of powder-coated cast aluminum for commercial quality in your home. Stainless-steel cutting blade for added durability. Unit has thermal reset button that provides overload protection. 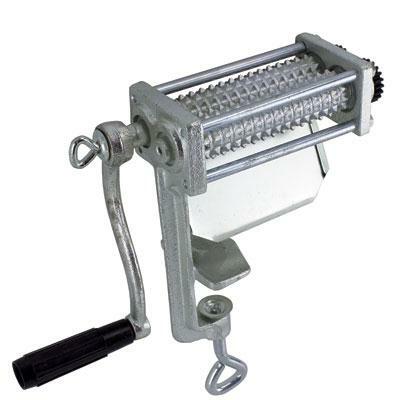 Includes pusher large and small sausage attachments stainless-steel cutting blade and 3 sizes of hardened sintered steel cutting plates (coarse/medium/fine). All grinder accessories conveniently nest in food pusher. 4-position switch includes slow-turning sausage-stuffing mode full power-grind mode reverse mode and off. Design places front feet of grinder in front of feeder for stable use while grinding. Built-in cord storage keeps grinder organized and neat when not in use. This item cannot be shipped to APO/FPO addresses. Please accept our apologies. The Chard #5 grinder is powerful enough to handle any jop. 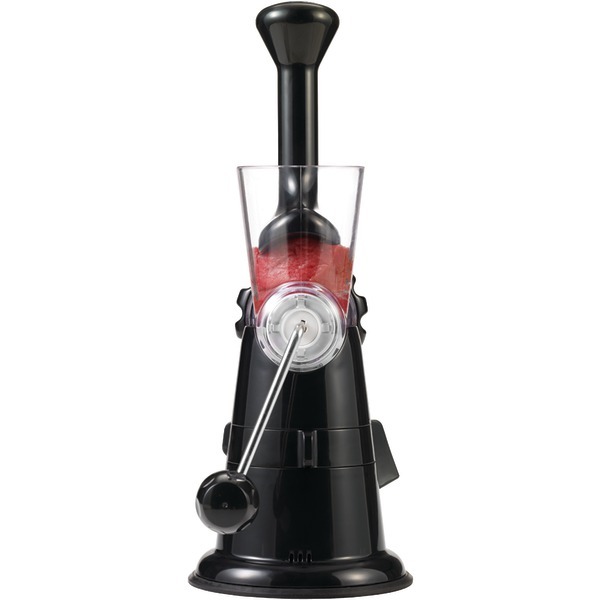 Whether you are making hamburgers jerky or sausage the Chard #5 grinder gives you the right tools! 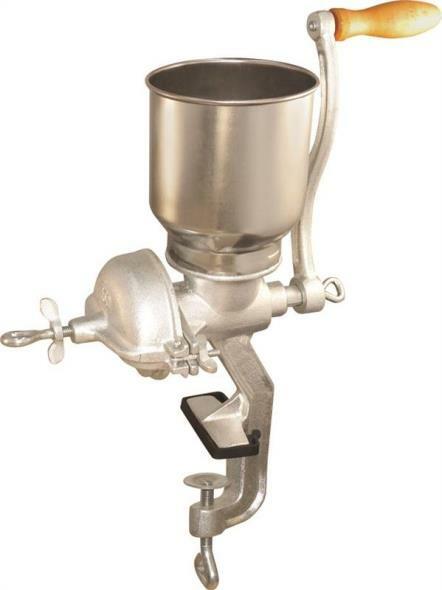 Included: 400-watt heavy-duty motor a stainless-steel cutting blade food pusher die-cast hopper grinder head collar auger auger head and grinder head clamp knob This item cannot be shipped to APO/FPO addresses. Please accept our apologies. 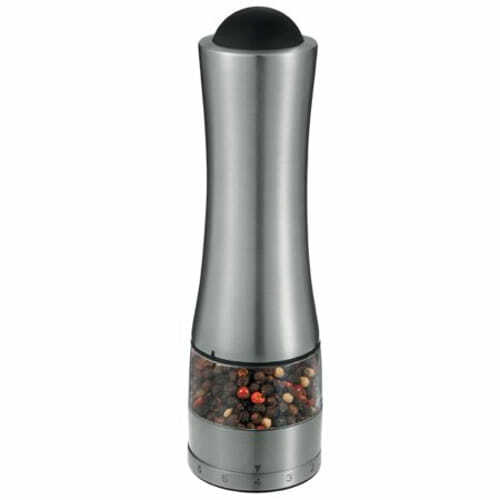 PRODYNE ELECTRIC PEPPER AND SALT GRINDER HWPD30PE Grind pepper or salt with the touch of a button. � The mill features a 1 – 7 select easy adjust grind dial that is continuously adjustable in an extraordinary range from powdery fine to very coarse. � The high quality, thick wall stainless steel body has easy grip contour shape and stylish black silicone push button. � Durable ceramic grinder allows it to be used with pepper or salt. � LED light illuminates while grinding for perfect portion control. � The quiet motor and drive runs on 4 AA batteries (not included).